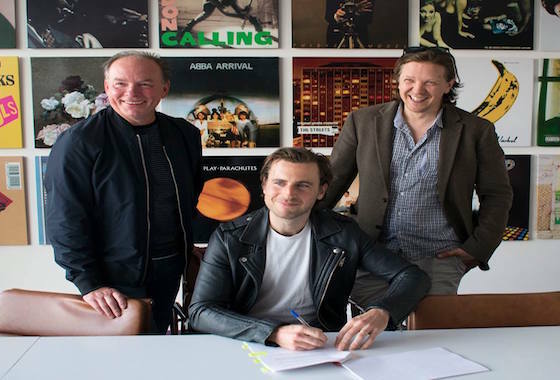 Pete Hammerton signs with Kid Gloves/Universal Music Publishing Group! Everyone at 365Artists is thrilled to announce that Producer / Songwriter Pete Hammerton has signed to Kid Gloves / Universal Music Publishing Group this week! Fresh from Producing and co-writing the current Wandering Hearts singles “Devil” & “Wish I Could”, 365Artists M.D Adam Clough and Creative Manager Pepe Jansz were joined by Kid Gloves heads Bill Stonebridge and Jimmy Hogarth to celebrate Pete and UMPG’s new relationship.